Caution:Do not use the old spacer plate. 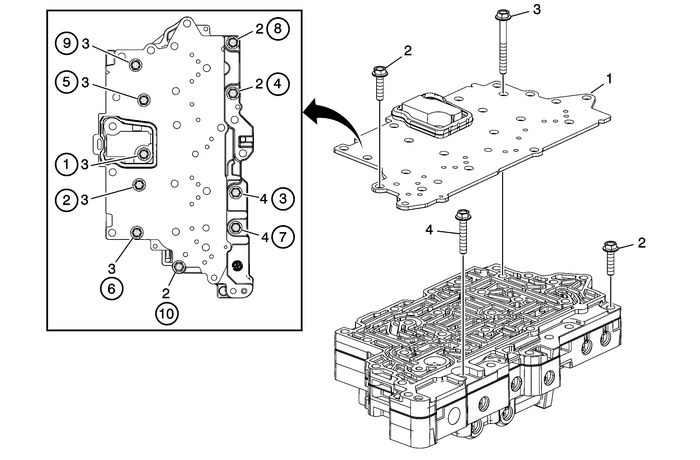 Install a NEW spacer plate.Reusing an old spacer plate may cause internal transmission leaksand transmission damage. Note:Inspect the upper channel plate bolt through holes for damage or brinelling. Any damagearound the PCS switch feed holes could cause leakage around the PCS switch seals.Replace as necessary. Caution:Do not use any type of grease or other material to hold thecheck ball valves in place during assembly. Grease will cause thevalves to not operate properly, resulting in damage to thetransmission. Inspect the upper channel plate bolt pass through holes for damage or burnelling.Any damage near the PCS feed holes could cause leaking around the PCS switch seal.Replace as necessary.The TCU pin gasket is not serviceable. 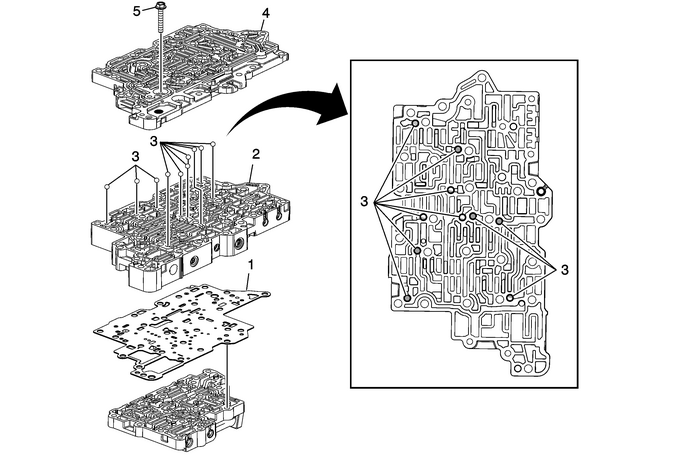 If the gasket is damaged, the control valvechannel upper plate assembly must be replaced. Hand tighten for alignment, then tighten in sequence, after all bolts are installed.